Redesigning Maternal Care: OB-GYNs Are Urged to See New Mothers Sooner And More Often Sweeping changes in medical practice could improve the dismal U.S. rate of maternal deaths and near-deaths, an influential doctors group says. 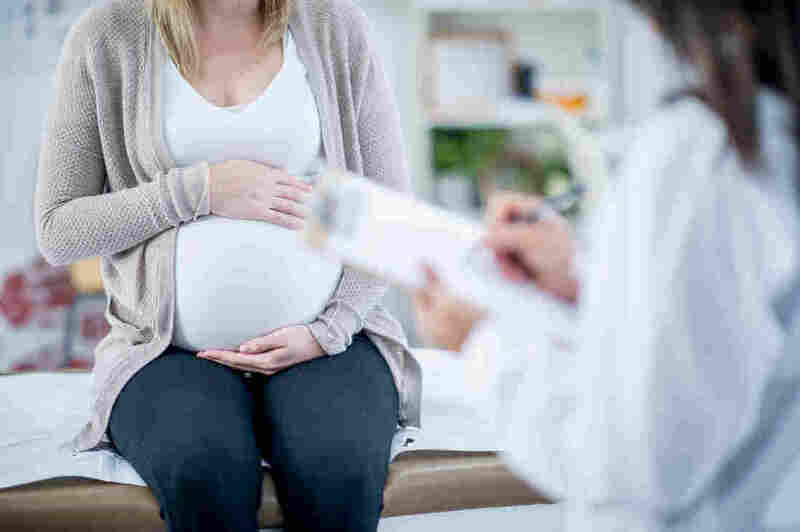 Under sweeping new recommendations from the American College of Obstetricians and Gynecologists, doctors would see new mothers sooner and more frequently, and insurers would cover the increased visits. The 11-page "committee opinion" on "Optimizing Postpartum Care," released Monday by the American College of Obstetricians and Gynecologists, represents a fundamental re-imagining of how providers, insurers and patients can work together to improve care for women after giving birth. "To optimize the health of women and infants, postpartum care should become an ongoing process, rather than a single encounter, with services and support tailored to each woman's individual needs," the committee opinion states. While an ACOG task force began rethinking its approach several years ago, the guidelines arrive at a moment of mounting concern about rising rates of pregnancy-related deaths and near-deaths in the U.S. As ProPublica and NPR have reported, more than 700 women die every year in this country from causes related to pregnancy and childbirth and more than 50,000 suffer life-threatening complications, among the worst records for maternal health in the industrialized world. The death rate for black mothers is three to four times that of white women. The way that providers currently care for pregnant women and infants versus new mothers exemplifies this difference. During the prenatal period, a woman may see her OB-GYN gyn a dozen or more times, including at least two checkups during her ninth month. Her baby's first pediatric visit usually occurs a few days after birth. But the mother may not have a follow-up appointment with her own doctor until four to six weeks after delivery — and in many cases, insurance covers only one visit. "As soon as that baby comes out, [the mom] is kind of an afterthought," said Tamika Auguste, associate medical director of the MedStar Health Simulation Training & Education Lab in Washington, D.C., and a coauthor of the ACOG opinion. The baby is the candy, the mom is the wrapper. And once the candy is out of the wrapper, the wrapper is cast aside. For working mothers, having to wait four to six weeks makes it harder to arrange a checkup. Some 23 percent of mothers employed outside the home are back on the job within 10 days of giving birth, a 2014 report for the U.S. Department of Labor found; an additional 22 percent return to work within 40 days. Lack of child care and transportation can also present significant hurdles to accessing care. According to ACOG, as many as 40 percent of women skip their postpartum visit; for low-income women of color, the rates are even higher. "You may have a woman that has asthma, is having problems lactating, and is obese, and when they come to see you at six weeks, we have missed the boat here," Auguste said. Nor is a single visit enough time to address a new mother's questions and concerns, especially if she had a complicated pregnancy or is suffering from chronic conditions such as hypertension, diabetes or a mood disorder. "We're trying to address all of the issues that women are dealing with after having a baby in one 20-minute encounter," Stuebe said. "And that's really hard to do." Under the new ACOG guidelines, women would see their providers much earlier — from within three days postpartum if they have suffered from severe hypertension to no later than three weeks if their pregnancies and deliveries were normal — and would return as often as needed. Depending on a woman's symptoms and history, the final postpartum visit could take place as late as 12 weeks after delivery and ideally would include "a full assessment of physical, social, and psychological well-being," from pain to weight loss to sexuality to management of chronic diseases, ACOG says. In another significant change, ACOG is urging providers to emphasize in conversations with patients the long-term health risks associated with pregnancy complications such as preterm delivery, pre-eclampsia and gestational diabetes. "These risk factors are emerging as an important predictor of future [cardiovascular disease]," the recommendations state. "[B]ut because these conditions often resolve postpartum, the increased cardiovascular disease risk is not consistently communicated to women." Earlier, more frequent and more individualized care could be a step toward addressing the stark racial disparities in maternal and infant health, said ACOG's outgoing president, Haywood Brown, who has made reforming postpartum care one of the main initiatives of his term. Black mothers are at higher risk for many childbirth complications, including pre-eclampsia, heart failure and blood clots, and they're more likely to suffer long-lasting health consequences. They also have higher rates of postpartum depression but are less likely to receive treatment. Regardless of race, for women whose pregnancies are covered by Medicaid, the postpartum period may be their best opportunity to get help with chronic conditions before they lose insurance coverage. The postpartum period has become a priority. The new guidelines urge doctors to take a proactive approach, helping patients develop a postpartum care plan while still pregnant, including a team of family and friends to provide social and other support. According to ACOG, 1 in 4 new mothers surveyed recently said she didn't even have a phone number of a health care provider to contact with concerns about herself or her baby. ACOG isn't the only organization calling for a reinvention of postpartum care; patient-safety groups, researchers, nurses and midwives have also tackled the issue, recasting the three months after birth as akin to a "fourth trimester." "The postpartum period has become a priority," said Debra Bingham, a professor of nursing at the University of Maryland and executive director of the Institute for Perinatal Quality Improvement who has participated in many of these initiatives. Some providers, including Brown, who is affiliated with Duke University, are already incorporating some of ACOG's ideas. Still, putting the reforms into common practice may take years. One of the biggest impediments is insurance reimbursement. Currently, payment for prenatal care, delivery and a single post-birth visit is bundled together into one global fee, creating a disincentive for doctors to see patients more than once, Auguste said. The disincentives are greater for women on Medicaid, which pays for about half of U.S. births. What's more, in many states Medicaid coverage ends two months postpartum. The ACOG opinion didn't estimate the cost of implementing its recommendations. Brown agreed that revamping how postpartum care is reimbursed is critical, and insurance representatives — along with members of other medical specialties — were on the ACOG task force that drafted the new guidelines. "I want to make sure that I get some employee health plans and some health systems to adopt this nationally," Brown said. Although the guidelines are aimed at OB-GYNs, they would require changes throughout the maternal care system. That's what ACOG is hoping for. "It's really a societal call to action," task force head Stuebe said.